Sorry if you already saw this, but it just crossed into my world. Craftbeer.com’s annual list of the 50 best beer bars in the U.S. is out, featuring one beer bar from each state. Since 2016, the representative of Missouri has bee located on the western side of the state, with Kansas City’s Bier Station winning the recognition in 2016, and again in 2017, with Joplin’s Instant Karma Gourmet Hot Dogs taking the title in 2017. Nearly 7,000 people responded to the survey. They were looking for an impressive beer menu, a stellar atmosphere, and servers who know their stuff. With more than 7,000 small and independent breweries in the United States, great beer bars have played an important role in the growth of local breweries. At least one-third of the bars featured this year made their first-ever appearance on the annual list. 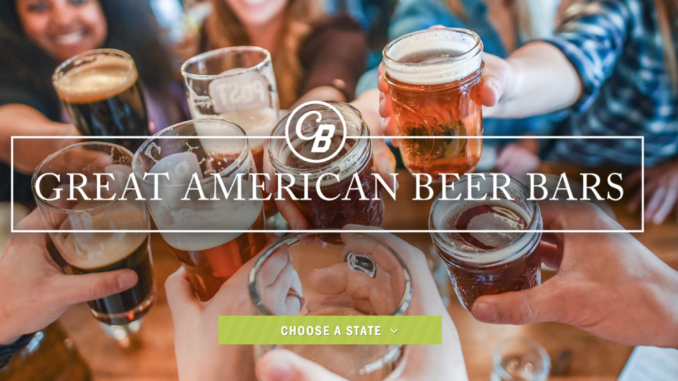 Methodology: CraftBeer.com readers were asked to nominate their favorite craft beer bar in their state and fill out a brief survey about what makes it so great including atmosphere, staff, beer selection and extraordinary events. Craft beer fans cast nearly 7,000 votes from December 2018 to early January 2019. Alaska: Prospectors Historic Pizzeria & Alehouse, Denali Park. Arkansas: Flying Saucer, Little Rock. Arizona: Tap & Bottle, Tucson. California: CraZy Harry’s Bar, Winnetka. Connecticut: Willimantic Brewing Company, Willimantic. Delaware: Henlopen City Oyster House, Rehoboth. Florida: Oil Well Craft Beer, Ave Maria. Georgia: Brick Store Pub, Decatur. Illinois: The Brass Tap, Orland Park. Indiana: Deer Park Irish Pub, Fort Wayne. Iowa: The Keg Stand, West Des Moines. Louisiana: Avenue Pub, New Orleans. Maine: Craft Brew Underground, Auburn. Michigan: Brown Iron Brewhouse, Washington Township. 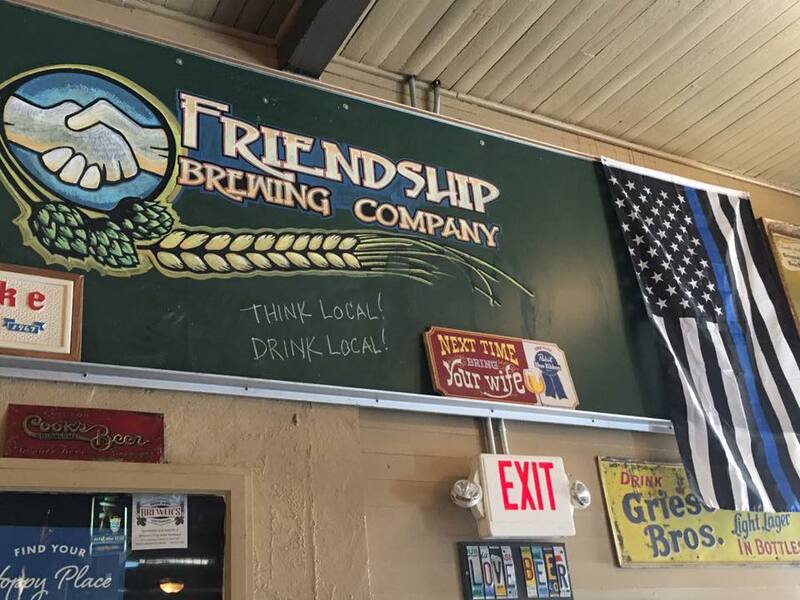 Missouri: Friendship Brewing Company, Wentzville. Montana: Lewis & Clark Tap Room, Helena. Nebraska: The Happy Raven, Lincoln. Nevada: Pinon Bottle Co., Reno. New Hampshire: New England’s Tap House Grille, Hooksett. New Jersey: Cloverleaf Tavern & Restaurant, Caldwell. New Mexico: Rowley Farmhouse Ales, Santa Fe. New York: The Owl Farm, Brooklyn. North Carolina: Craft Centric Taproom & Bottle Shop, Arden. North Dakota: JL Beers, Fargo. Pennsylvania: The Bulls Head Public House, Lititz. Puerto Rico: Taberna Boricua, San Juan. Rhode Island: Norey’s Newport, Newport. South Carolina: The Craft Stand, Lancaster. South Dakota: Independent Ale House, Rapid City. Tennessee: Hops and Hollers, Knoxville. Utah: Beerhive Pub, Salt Lake City. Washington: Ben’s Bottle Shop, Vancouver. West Virginia: Bahnhof WVrsthaus + Biergarten, Huntington. Wisconsin: The Brass Tap, Greenfield. Wyoming: Black Tooth Brewing Co., Sheridan.